This piggy went to market. Let us introduce ourselves to you. 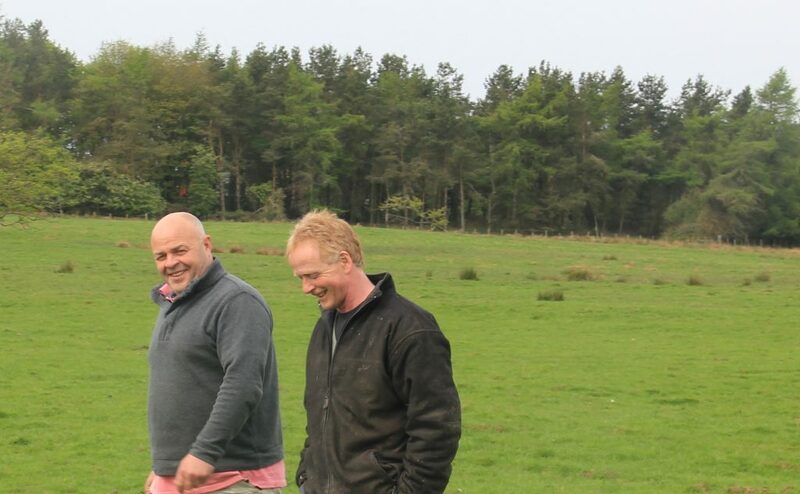 We are Adam Marshall, pig farmer and Sandy Pate, sheep farmer from Berwickshire in the beautiful Scottish Borders. As working farmers, we had the simple idea of bringing our quality natural product from the farm to the city. 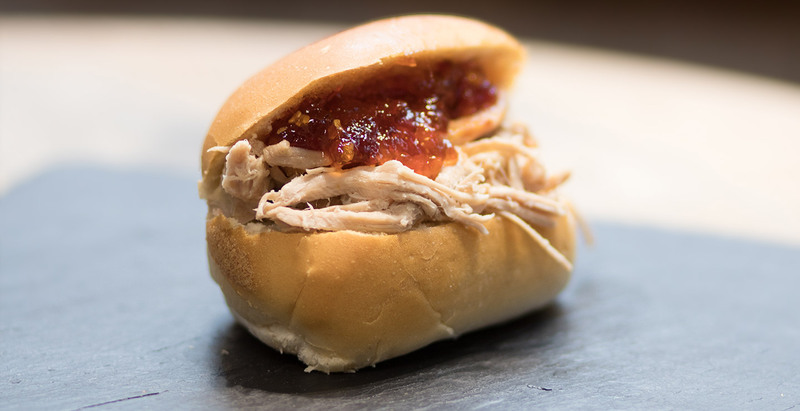 Passionate about good honest food we wanted to introduce a very different food concept to Edinburgh with our fresh and delicious Scottish hog roast rolls. Coming from families who have farmed in Berwickshire for many generations we like to think we know a thing or two about good meat. 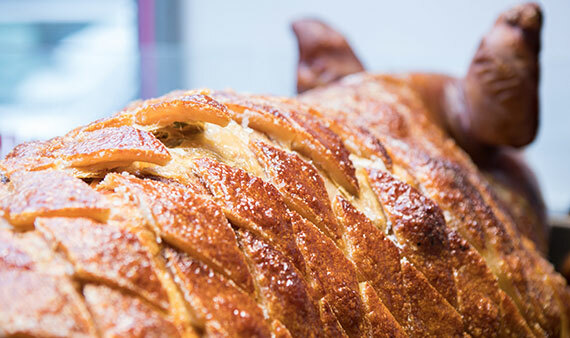 We began by specialising in hog roasts and brought our freshly carved hog roasts to the Edinburgh Farmers Market at Castle Terrace back in 2001. 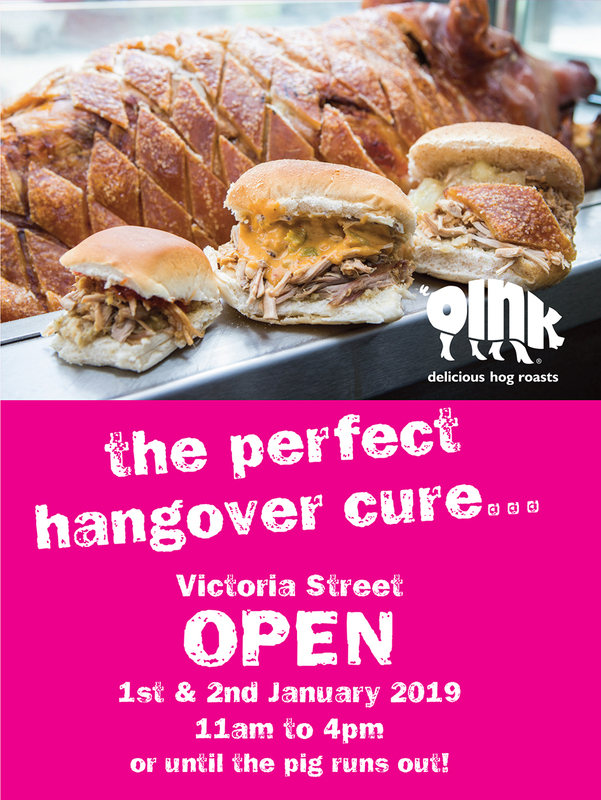 Our delicious hog roast rolls (pulled pork as some of you know it) were such a runaway success with the public that we decided to open our first shop in Edinburgh – and that’s when Oink was born. 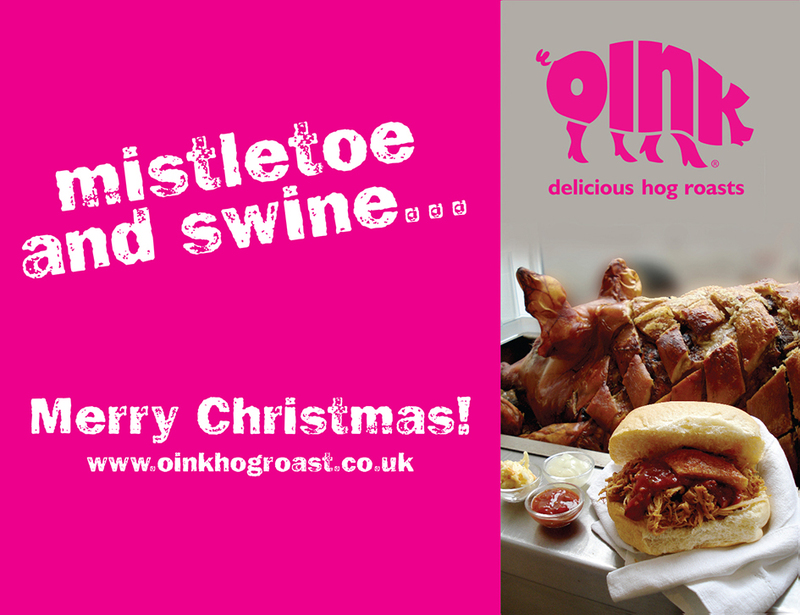 Oink was launched in Edinburgh’s Victoria Street in the Summer of 2008 and we have been serving delicious hog roast rolls to hungry workers, locals, students, festival goers, shoppers and tourists 7 days a week ever since! We opened our second shop in the summer of 2013 in the Canongate area of Edinburgh’s historic Royal Mile. And in 2017 our third shop in the heart of Edinburgh on Hanover Street. Having seen the growing popularity of hog roast through our Farmers Market stall and knowing that it’s the ideal quick and tasty meat to serve hot on a roll like bacon, we decided to go one better and open a shop specialising in just that. 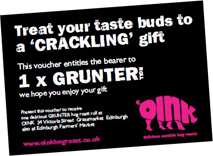 We hit upon the name of Oink of Edinburgh to set it apart. It’s a fun name which has certainly attracted a lot of attention. We have built up a huge loyal following from students and tourists and from hungry office workers on the run. They know they will get good, speedy service from us and a high quality tasty product. Not only is our hog roast very tasty but the pigs are farm reared by myself on my farm in Berwickshire and are fed natural, local foodstuffs. The meat is very high quality and will not disappoint in terms of taste. Our own bacon is superior to many supermarket brands too and we do feel that our customers do get a true quality product when they come into Oink. We also operate our highly successful Oink mobile catering service for both hog and lamb roasts and regularly cater for weddings, birthdays and other special occasions as well as every kind of corporate event. Customers want to know where the meat has come from and how it was reared. We have farming in our blood and customers know they can buy with confidence from us. What began at the Castle Terrace Farmers Market back in 2001 has gone from strength to strength – we knew that the demand was there back then as our stall was always busy but little did we know how our concept would grow into the Oink that so many people love and enjoy today.